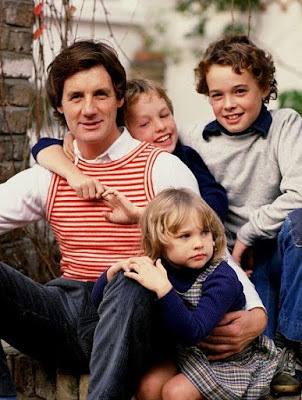 Michael Palin with his children Tom, William and Rachel in 1980. 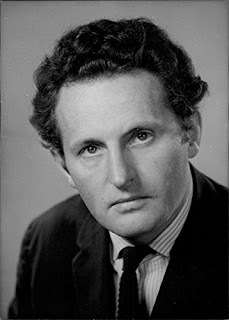 Sir Michael Palin is the son of Edward Moreton Palin  and Mary Rachel Lockhart (née Ovey). Michael Palin's sister Angela committed suicide in 1987. In 1966 Michael Palin married Helen Gibbins. Michael Palin's children are Thomas (b. 1969), William (b. 1971) and Rachel (b. 1975). Michael Palin snooping around Eastern Europe. Michael Palin snooping around North Korea. The Arab Spring began in 2010. The Ukraine revolution took place in 2014. 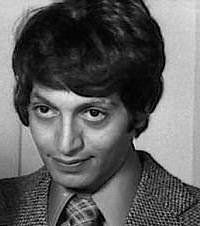 Mark Forstater, one of the producers of 'Monty Python and the Holy Grail', fell out with the Pythons. 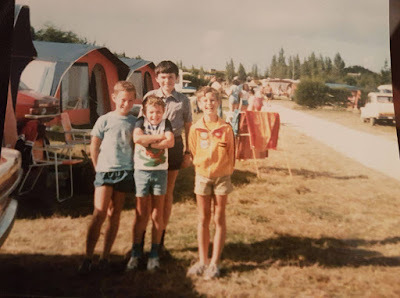 "NICK/CARL BEECH - I was 7 years old and had already suffered physically and sexually at the hands of my father. Now however, I was going to be introduced to the group, something I think that was always his intention. I never saw him as happy as when they seemed to like and accept me into the group. I was in, which meant he was too. I don’t remember anything unusual about the day, except I suppose for the fact he was being nice to me. I should have suspected something was wrong. I had to wear my school uniform even though I was not going to be going to school that day. Instead I was going to my father’s work. I remember as though it was yesterday him telling me to do exactly as I was told and to not say a word. I don’t remember feeling scared or anything, but I was confused that he was being nice. I was taken into this office and there was another man there waiting, he seemed to know my father. I remember they talked for a bit, but this other man never stopped looking at me, and I think it made me nervous. The man came over and said hello and even shook my hand and he told my father to leave. It was just me and him and I had to stand before him. He started touching my hair and face and then all over my body. He kept saying how beautiful I was and that I was a good boy. I do remember it was quite nice to hear that I was a good boy. He started to undress me and then do some of the things my father did. Despite all that I had been through already with my father, I don’t think I expected it to come from a stranger, I just assumed it’s what fathers did. This man only kissed and touched me and didn’t hurt me like my father but I was still glad when it was over. When my father came back, they talked again which is when I saw how happy he was. On the way back home, he even told me I had done really well. I don’t think this really registered, although it did add to the confusion that small boy felt. How could he be so nasty one minute and nice the next, why did it make him happy when another man liked me like that, was this all normal? It didn’t feel normal, or it might have been I didn’t want it to feel normal, but it was happening nevertheless. It wasn’t long after that first meeting that I was taken to this house, I was ushered into the back room, and that man was there again together with two others. He was pleased to see me and again my father left me there. I was told to undress and do various things in front of them. One of them was taking pictures. I didn’t feel right to be standing there naked in front of these three men, but they seemed pleased, which I didn’t quite know why. The man the office, told everyone to leave. He started kissing and touching me again, but this time made me do things to him as well. At the end he held me down on the carpet and raped me. He was the same as my father but unlike him he was saying all these nice things to me as he was hurting me. I still didn’t understand what was happening to me, except it was hurting and I didn’t like it. My face was wet with tears as I was pushed into the carpet." 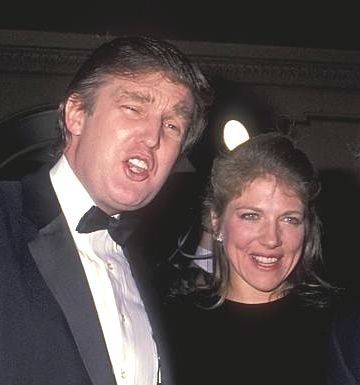 Lynn de Rothschild and Donald Trump. According to a recent US poll by Gallup, most Democrats and young Americans would like the USA to become a bit more socialist. What they apparently want is a smaller gap between the multi-billionaires and the ordinary people. What they apparently want is decent social services. What they apparently want is to be more like Denmark or Iceland or Singapore or Switzerland or Finland. 8 of the 11 highest ranked countries in the UN’s human development index are northern European countries that are a bit socialist. In the UK, a majority of Conservative Party voters would like the postal services to be nationalised, rather than to be in private hands. In the UK, 70% of people believe that the policy of having private companies running public services has gone too far. In the UK, 60% of people want a tax rise to pay for health, education and social benefits. 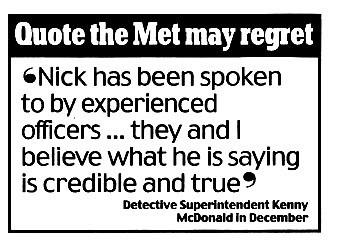 Nick (Carl Beech) is a child abuse ring whistleblower. Lady Beth (Ling Ling) Douglas, daughter of the Marquess of Queensberry. In March 2018, Lady Beth Douglas, 18, was found dead with needle marks in her arm. The Douglas family (Queensberry-Buccleuch) "has endured suicide and violent deaths" and "was married into Osama bin Laden's family". Lady Beth Douglas is the daughter of the 12th Marquess of Queensberry. Lady Beth Douglas died at Notting Hill house party 'after a two-day heroin and cocaine binge', an inquest has heard. Beth's boyfriend, Jenan Karagoli, 21, said the pair had spent at least two days drinking and taking drugs while staying in hotels. Queensberry coat of arms. The third Marquess of Queensberry killed a servant ‘and roasted him on a spit’. 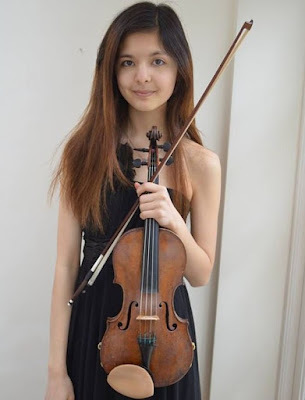 Beth Douglas, known as 'Ling Ling', was the only daughter of the marquess's third wife, Taiwanese artist Hsueh-Chun Liao. "The inquest heard that Beth had been known to mental health services since the age of 13, when she started self-harming and had been sectioned under the Mental Health Act aged 17." 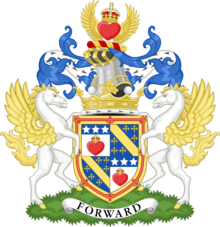 Beth (Ling Ling) Douglas's father is David Douglas, the 12th marquess of Queensbury. David Douglas has married three times, producing eight children by four women. Lady Alice Douglas, married Simon Melia, who went to jail for armed robbery. Lady Kate Douglas (b. 1969) married 1999 Tom Weisselberg. 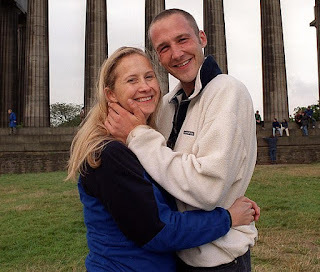 Lord Milo Douglas (1975–2009) died in mysterious circumstances. In 2009, Beth's half-brother, Milo Douglas, 34, 'committed suicide by jumping off a tower block'. Caroline Carey, half-sister of his illegitimate son Ambrose Carey, married Salem Bin Laden, a brother of Osama. When he died in a plane crash she married another brother, Khaled. Salem bin Laden is said to have helped the CIA in the Iran Contra heroin affair. Osama bin laden is said to have worked with the Jewish mafia in the heroin trade. In 1858 the 8th Marquess of Queensberry shot himself dead with his own gun while hunting rabbits. Two of his sons also died violent deaths. The 9th marquess is linked to a homosexual scandal involving Prime Minister Lord Rosebery. In 1995, Lady Beth Douglas's half-sister, Lady Alice Douglas, married Simon Melia, a drug-addicted armed robber. They divorced. Hero Douglas (Hero Melia) is the daughter of Lady Alice Douglas and Simon Melia. In 1894, the body of Francis Douglas, the eldest son of the 9th Marquess of Queensberry and brother of Oscar Wilde's lover Lord Alfred ‘Bosie’ Douglas, was discovered dead in a ditch. The Marquess of Queensberry blamed ‘snob queers like Rosebery’ for corrupting and killing his son. Lord Rosebery was Britain's Prime Minister from 1894 to 1895. May Ling Ling rest in peace. Her Buddhist Funeral Ceremony took place on the 21st March 2018 in London. 1. The Nazis murdered 6 million people in the death camps. 2. Up to a million Nazis were involved in carrying out these killings in the death camps. 3. Only 6,656 Nazis were convicted of carrying out these killings. "Out of a total of 172,294 participants prosecuted, only 6,656 were convicted. "And the overwhelming majority of those actually found guilty received sentences of less than two years’ imprisonment." 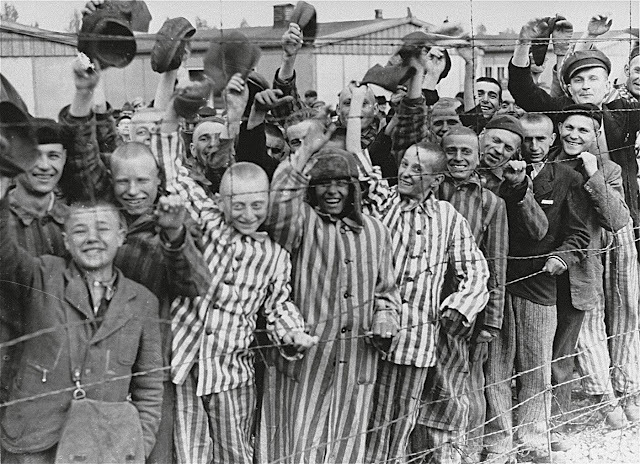 Prisoners at the Dachau Concentration camp. 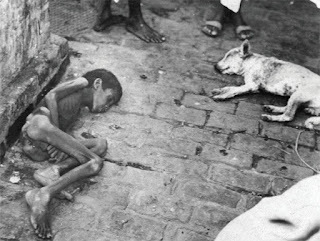 The International Red Cross reported in 1946 that of registered Jewish camp inmates no more than 300,000 could have died. Their audit to December 31, 1984 records a total 282,077 registered deaths of all internees in all German Concentration Camps from all causes. After the war, the fascists in Germany were protected by their fellow fascists in Israel, the USA, South America, Germany and elsewhere. 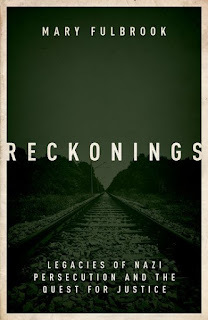 "There were only two known survivors of the Belzec extermination camp, where an estimated half a million people died. 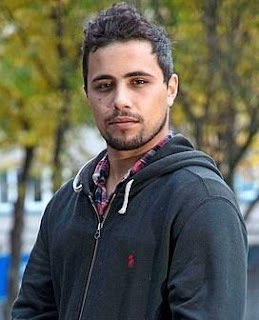 "One of those survivors was killed in suspicious circumstances before he could give evidence. 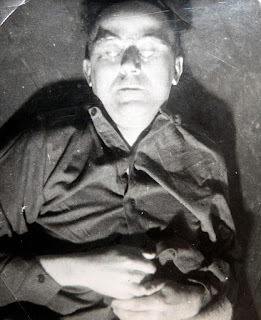 "Only one person, Josef Oberhauser, was convicted, in Munich in 1965, in connection with this mass slaughter." 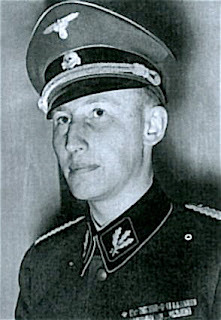 In 1966, Walter Thormeyer, of the Nazi SS, was put on trial for killing civilians, and received a 12 year jail sentence. Walter Thormeyer had a Jewish mistress. Above, we see the Nazis' Bergen- Belsen concentration camp. 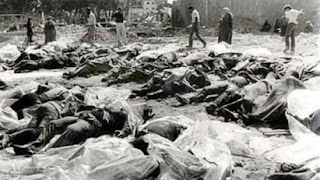 In the Deir Yassin massacre, Israelis murdered Palestinians. "A young fellow was tied to a tree and set on fire. "Girls were lined up against a wall and shot with a submachine gun." Despotic communists will kill non-despotic communists. 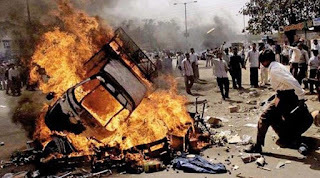 Fundamentalist Moslems will kill non-fundamentalist Moslems. Fascist Christians will kill non-fascist Christians. Mafioso Italians will kill non mafioso Italians. Zionist Jews will kill non Zionist Jews. The fascists in Germany were protected by their fellow fascists in Israel, the USA, South America, Germany and elsewhere. It found no evidence at the concentration camps in Nazi occupied Europe of a deliberate policy to exterminate the Jews. In the 1,600 pages of this three volume Report there is no mention any gas chambers. 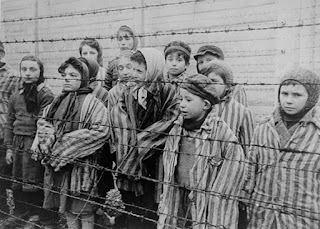 There are many witnesses who have testified that people were gassed in Nazi gas chambers. The gas chamber issue is controversial. At Auschwitz, there was a massive disinfestation complex where Zyklon B gas was used daily to combat lice and the disease they carried. "These were the real gas chambers except their victimes were clothing and mattresses, and their purpose was to preserve the health of the inmates." The director of the Auschwitz State Museum Dr. Franciszek Piper, announced that the so-called gas chamber had been fabricated by the Soviets AFTER the war. David Cole Interviews Dr. Franciszek Piper . 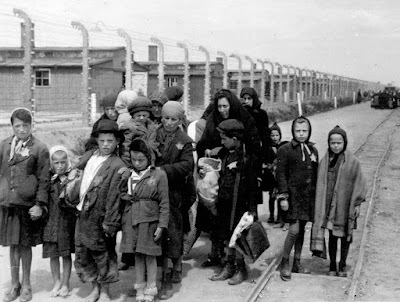 The International Red Cross reported in 1946 that of registered Jewish camp inmates no more than 300,000 could have died, and their audit to December 31, 1984 records a total 282,077 registered deaths of all internees in all German Concentration Camps from all causes. 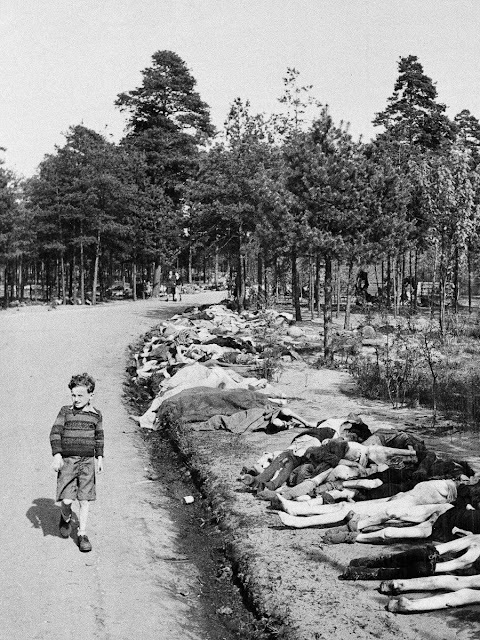 Time Magazine reported that at Bergen-Belsen 20,000 died of typhus during the single month of March, 1945. The World Almanac for 1947 states that back in 1939 the world Jewish population was 15,688,259. In 1948, the world Jewish population amounted to "18,700,000 in addition to the 600,000 to 700,000 living in Palestine." 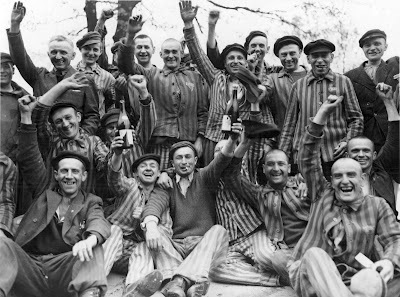 There were no more than 4 million Jews at most living in areas occupied by the Third Reich at the height of its power. Yet on June 30, 1965, the West German government announced that some 3,375,000 Jewish holocaust "survivors" had applied for reparations money. "When Heydrich was a child in Halle, neighborhood children made fun of him, calling him "Isi" (Izzy), short for Isidor, a name with a Jewish connotation. 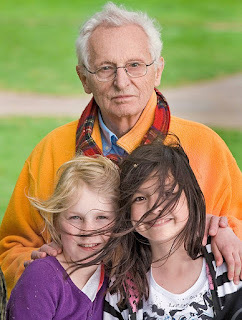 "When he served in the navy, many of his comrades believed he was Jewish. Some called him the "blond Moses." "Others who lived in Halle have claimed that everybody believed that his father, the musician Bruno Heydrich, was a Jew. "Half-Jew Alice Schaper nee Rohr, who took piano lessons from Bruno, claimed, "We all knew he was Jewish. ...He looked just like a typical Jew." "In town, Bruno was called Isidor Suess behind his back. 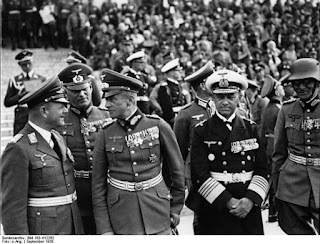 With such rumors going around, it was not surprising that Heydrich felt continually burdened by these allegations, especially when he served as an SS general." 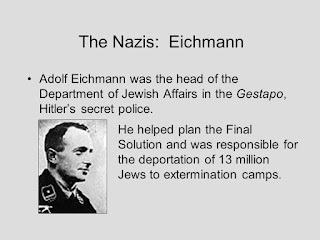 "Eichmann had Jewish friends, was employed by Jews as an oil and kerosene salesman, had Jewish relatives by marriage." In 1939, Adolf Eichmann desribed himself as a Zionist. On the left, we see Himmler, and on the right we see his body double. 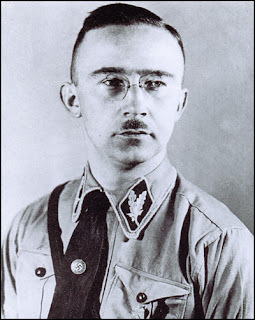 Himmler's grandparents were Johan Himmler and Agathe Kien. Katrin Himmler, the great-niece of Heinrich Himmler, married an Israeli. 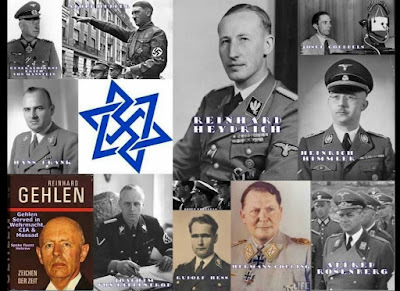 The top German Nazis were 'Jewish', and were linked to an international cabal. 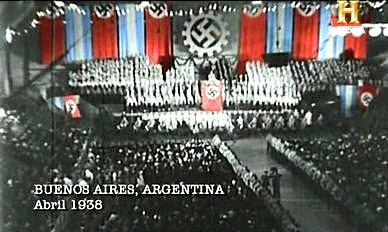 Thousands of top Nazis are reported to have moved to Argentina after World War II. These include Martin Bormann, Josef Mengele, Klaus Barbie, Adolf Eichmann, Erich Priebke, Walter Kutschmann, Jose Schwammberger, Ante Pavelic, Walter Rauff, and Eduard Roschmann. On 7 November 2018, a mass shooting took place in Thousand Oaks, California, United States, at the Borderline Bar and Grill, a country-western bar frequented by college students. Twelve people were killed, including a police officer. One other person was shot, while twenty-four were injured. The attacker was also found dead of a self-inflicted gunshot wound inside the bar and was identified as 28-year-old Ian David Long, a United States Marine Corps veteran. Matthew Whitaker, Donald Trump's new attorney general, was part of a company accused by the US government of running a multimillion-dollar scam. World Patent Marketing was ordered in May 2018 to pay a $26m settlement following legal action by federal authorities, which said it tricked aspiring inventors. 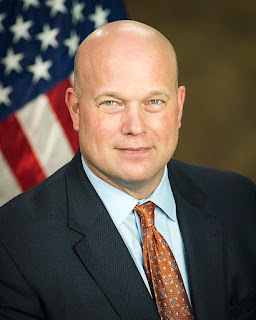 Matt Whitaker is from Iowa. In 1982, in IOWA, 12 year old Johnny Gosch was kidnapped, while he was doing his newspaper deliveries. Noreen Gosch wrote ('Why Johnny Can't Come Home'): "It was reported to me and given in Federal Court, February 1999, by Paul Bonacci, that 'Michael Aquino ... called the Colonel' was in fact the man who came to Iowa, paid the kidnappers for taking Johnny, then took Johnny with him." 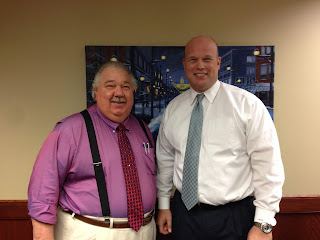 Whitaker is a close friend of Sam Clovis who chose George Papadopolous and Carter Page to join the Trump campaign as foreign policy advisors in March 2016. Matt Whitaker has said he wants to be like Sen. Ted Cruz, according to The Des Moines Register. 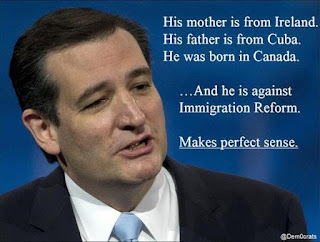 Ted Cruz's homophobia helped Cruz to the win in the Iowa caucuses. 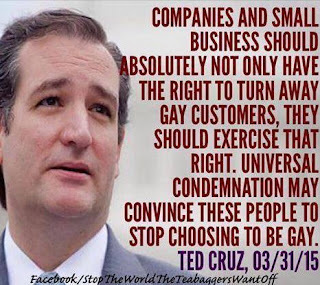 Ted Cruz appears to have links to the 'Jewish gay mafia'. In October 2014, Sean Verdi, 23, died after being found unconscious in a bathtub at the home of the hotelier Ian Reisner. Sean Verdi, 23, dies . 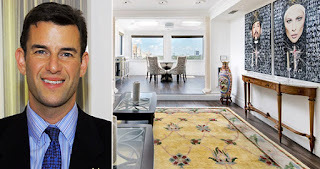 In April 2015, in the penthouse where Sean Verdi became ill, Ted Cruz was entertained by the hotelier Ian Reisner and accepted money from him. Ted Cruz with gay Manhattan real estate executive Mati Weiderpass. Ian Reisner is Jewish and gay. Ian Reisner operates on Fire Island, a centre of gay activity linked to mysterious deaths. 1. On April 20, 2015, Ted Cruz and his wife Heidi, a Goldman Sachs executive, had dinner with Ian Reisner and his one-time gay partner, Mati Weiderpass. Weiderpass is a military veteran. One of Reisner's gay friends is Ken Mehlman, the former Republican National Committee chairman. One of Cruz's good friends is the openly-gay San Francisco investor Peter Thiel. Where Ted Cruz met Reisner and where Sean Verdi died in suspicious circumstances. 2. 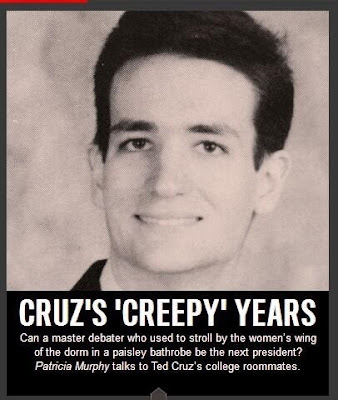 In 2014, Sean Verdi was found unconscious in a bathtub in Reisner's townhouse, the same apartment visited by Cruz. 3. 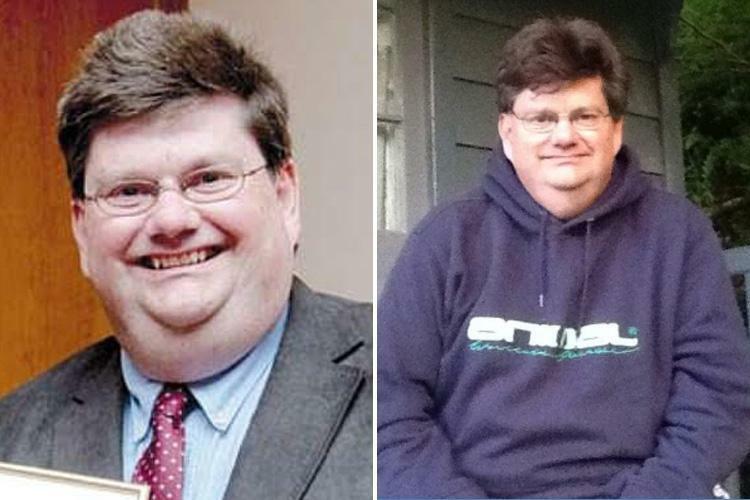 On September 23, 2013, Reisner's brother, Ross Reisner, was shot and killed in the Long Island home that he shared with his longtime male partner, Kevin Murray. 4. Ian Reisner gay-oriented businesses include the "Out NYC" hotel, the Pavilion nightclub, the Sip-n-Twirl bar, the Blue Whale restaurant, and the Botel hotel. Reisner's liaison to the Fire Island business community is Omar Sharif, Jr., the gay grandson of the late Egyptian actor. 5. Reisner's plans include opening an Out Hotel in Chicago in Boy's Town, the gay entertainment district that, in the past, attracted Rahm Emanuel and Barack Obama. 6. Among those at the Reisner reception for Cruz was Kalman Sporn, Cruz's Middle East policy adviser.